You’ve decided to get married. Phew! The biggest decision is out of the way. Next up: venue selection. No doubt from the moment you got engaged, soon-to-be in-laws, well-meaning neighbors, and friends have badgered you about where and when. Your wedding venue is the backdrop for your fated day. From photography to film, anecdotes to guest book notes, the details and distinctions of your venue will get folded into the collective memory of the event. The right setting creates the tone and ambiance to match your vision. We’ll leave the vision to you, but here is a guide of some of our favorite venues in the Hudson Valley and the Catskills. 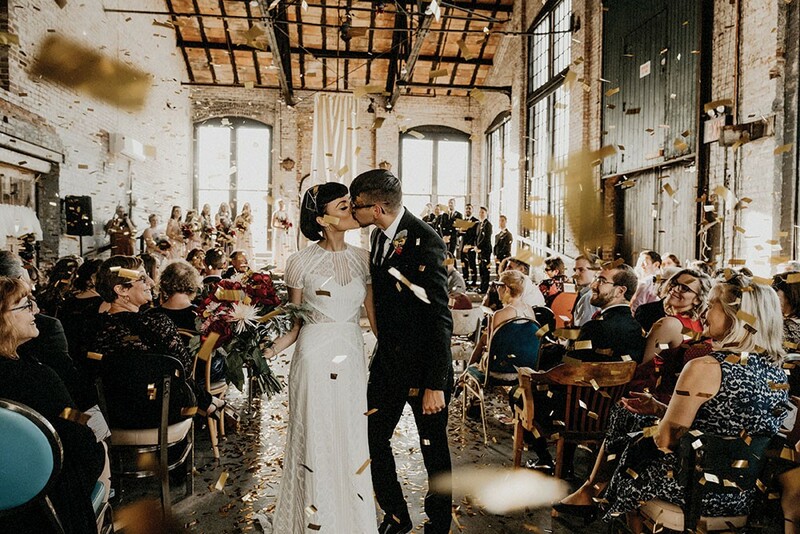 If you’ve dreamt of your wedding since childhood and swooned over storybook romances, a historic venue may provide the perfect backdrop for your fairytale day. The Hudson Valley offers many venues whose character and mystique has stood the test of time. Under new ownership, the historic Hasbrouck House in Stone Ridge has undergone an extensive internal renovation to complement a rejuvenated vision and aesthetic. Just minutes’ walk from shops and restaurants, the old stone inn exists magically apart from the world—its own secluded Eden. Old oaks, sycamores, and pines soar above emerald lawns, lined by boxwood hedges, flowering shrubs, and herb gardens. The property has several locations for wedding festivities, each with their own vibe and size capacity, from the hotel’s restaurant, Butterfield, to the wraparound porch, large bluestone patio, and sprawling lawns. Hasbrouck House is a great option for couples who have family travelling from out of town, with 17 rooms, including four multi-bedroom suites, a Carriage House Apartment, a Stable House Grand Loft, and a Wedding Suite. With impeccable decor, attentive landscaping, and oodles of historic charm, every photograph will look perfectly staged. The Wilderstein estate in Rhinebeck epitomizes the Hudson Valley’s rich blend of history and natural beauty. Weddings at Wilderstein take place entirely outdoors. With 40 acres of lush lawns, river frontage, and mountain vistas you will feel like you have stepped into a Thomas Cole painting. You can choose any location on the grounds for your ceremony, from either of the two gazebos to a silhouetted hilltop to the riverside at sunset. Take fairytale photos on the veranda of the 19th-century Queen Anne-style country house and sip cocktails on the lawn. Event pricing is reasonable and even includes photography, but you must make your own arrangements for tents and equipment rentals, food service, and entertainment. Other historic options include Mohonk Mountain House in New Paltz, Beekman Arms in Rhinebeck, and the Olana State Historic Site in Hudson. From artist lofts to converted factories, the edgy, expansiveness of industrial spaces has caught on as a design concept in both urban and rural environments. Blending raw materials, like metal and wood, with salvaged items, this style offers a simple, well-worn look. 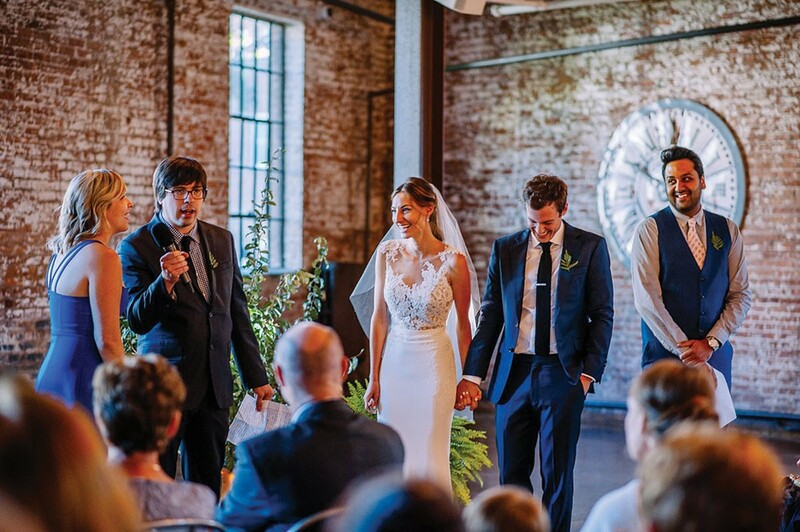 If you want a fresh, no-frills wedding, with a funky edge, renting a converted industrial space may be the way to go. The Senate Garage in Uptown Kingston is exactly what it sounds like. This 1921 parking building represents a bygone era of Kingston’s industrial history. Think exposed brick, factory windows, polished concrete, Edison bulb fixtures, vaulted ceilings, and tiled bathrooms. The 7,500-square-foot space is highly customizable and can accommodate up to 275 seated guests. A vintage lounge area, featuring velvet sofas and heavy drapes, is the perfect place to pose with cocktails, canapes, and (unlit) cigars. In the heart of the Stockade District, this venue offers walkability to a range of restaurants, bars, and shops, as well as accessibility to major highways. Michelle and Mike at Senate Garage in Kingston (courtesy SAW Photography). 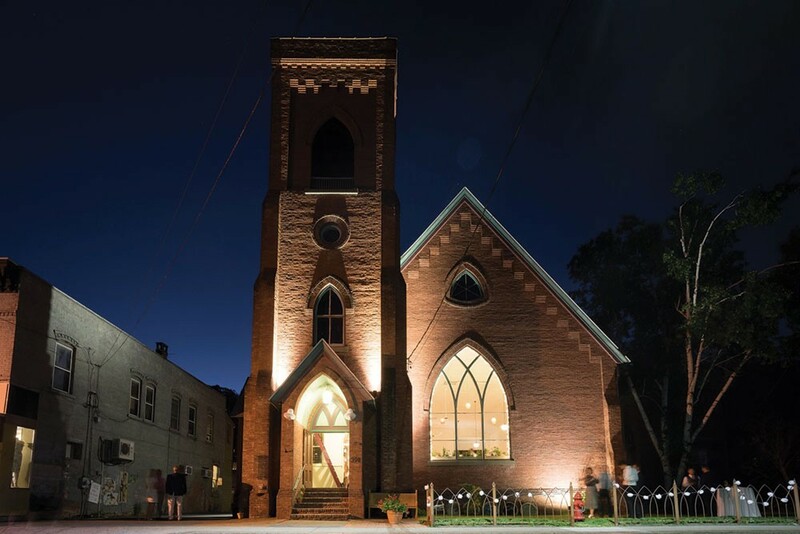 Basilica Hudson is one of the blossoming city’s cornerstone community projects. As a multidisciplinary arts center, this solar-powered space is a hub of culture and creativity in the region. The soaring brick building was built in the 1880s as an factory, with close proximity to Hudson’s waterfront and railroad. Leaded glass windows line every side of the 7,000-square foot building, allowing a tremendous amount of natural light in, all throughout the day. If you are looking for architectural character without any preciousness, this is it. If these two don’t quite hit the mark, check out the Roundhouse in Beacon or the Newburgh Brewing Co. Stepping away from the massive industrial spaces, sometimes smaller is better. For those who don’t want to deal with crazy extended family members, or simply have always dreamed of an intimate wedding celebration, there are several cozy venues in the Hudson Valley to accommodate your petite party. That said, small can still mean expansive. 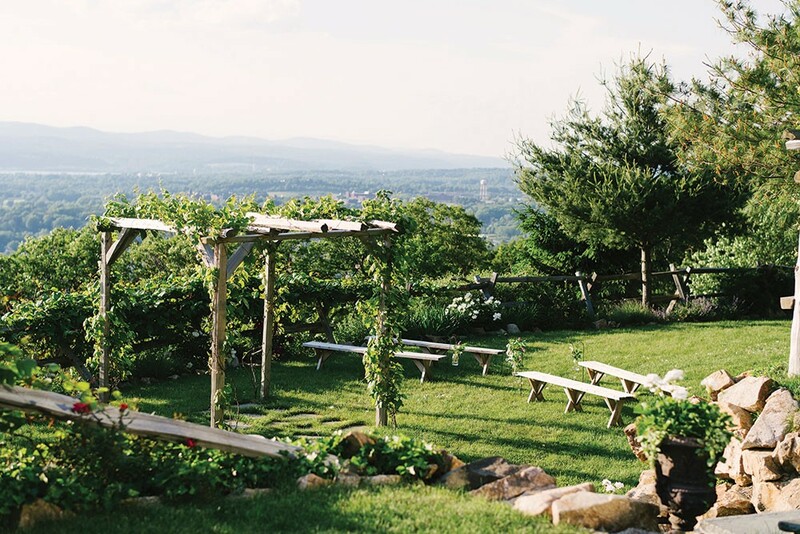 Lambs Hill in Fishkill is a farm and event center carved into the side of Mount Beacon, with gasp-worthy skytop panoramas of the region and the Hudson River, all just five minutes from Beacon’s bustling downtown. The hillside venue features a manicured main lawn, a covered patio with a vanishing-edge pool (perfect for cocktail hour), and a rustic-chic barn for receptions. Icelandic horses and miniature donkeys add a major cute factor. Lined with brightly colored two-story buildings that house inns, bars, and businesses like a bakery and a cheese shop, Main Street, Rosendale is about as picturesque they come. In the middle of this mighty little town, the steeple of the Belltower venue soars above all else. Built in 1896 by the Dutch Reformed Church, the beautiful Gothic-style brick building is a relic of the town’s cement industry days. These days, the space is used primarily as a studio for glass design and sculpture, but it moonlights as an event venue, capable of accommodating up to 120 guests. Natural light floods in through the vaulted windows creating a bright, inviting space, that retains its hallowed atmosphere. If you want to keep it intimate, check out these other sites: Colony in Woodstock, Chapel Restoration in Cold Spring, the Bird and Bottle Inn in Garrison, and the Bykenhulle House in Hopewell Junction. The modestly named Deer Mountain Inn covers nearly 200 acres of lawns and woodlands in Tannersville, with spectacular views of the valley below and the Catskill Mountains beyond. Built in the Arts & Crafts style of the early 1900s, the Inn offers a multitude of settings for groups as small as 40 or as large as 250. There is the Alpine lodge-style attic, the bright and cheerful sunroom, the bar and restaurant, the exquisite terrace and gardens, and the sprawling lawns. Six double-occupancy suites offer limited lodging for the core bridal party. Ditch the pole tent and spring for the pole barn when you book at Willow Drey Farm in Delaware County. In fact, forget the hassle of rental companies altogether; the venue includes farmhouse tables, vintage schoolhouse chairs, mix-and-match china, and silver plate place settings for a elegant yet whimsical feel. Flowers and accents pop in the stunning whitewashed space. Thanks to recent renovations, you don’t have to sacrifice any creature comforts to have a farm wedding. The venue space features radiant heat, full insulation, and a complete catering shed for year-round events. Outdoors, enjoy expansive views of Gladstone Hollow and Mount Pisgah in the distance from the large bluestone patio. FEAST at Round Hill offers another intimate and romantic Hudson Valley wedding destination. The early 1800's Greek Revival Manor in Washingtonville has been impeccably restored to its original grace and grandeur. Your guests will enjoy the casual elegance of a country estate refinished with urban sophistication. Featuring luxurious gardens with a pond, waterfalls and fountains, outdoor garden ceremony area, and an indoor ceremony area in case of inclement weather. With a long (and award-winning) catering history, FEAST at Round Hill offers top-notch contemporary global cuisine to suit your tastes.Their all inclusive site package means you won't have to dole out for hidden site fees or service charges. And don't worry—you don't have to trim the guest list to fit into this idyllic paradise. You can invite every crazy uncle and third-cousin-twice-removed, because Round Hill comfortably accommodates 200 guests. And at just under an hour from New York and New Jersey airports, it's also easy to reach. For other picturesque options, check out The Links at Union Vale, The Garrison Institute in Garrison, and Emerson Resort & Spa in Mount Tremper. Rustic is having a renaissance. 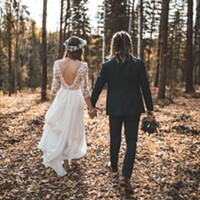 For those who believe there is no greater beauty than nature’s own palate, and those who imagine their wedding as a jovial, unpretentious celebration with boot stompin’, bonfires, and lawn games, barn weddings may be the right fit. 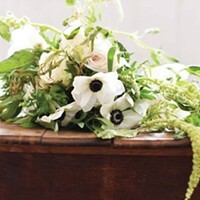 Think burlap and garden roses, cowboy boots and bowties. Barn weddings represent the height of country charm—bucolic beauty with an elegant twist. Like many working farms of old, the Owls Hoot venue in Coxsackie has not one but several barns, which can each be tailored to your celebration. The 1800s Dutch barn is the largest of these, accommodating up to 180 guests for dancing and dining. These agricultural structures retain their rich heritage, set amidst pastures and fields of colorful wildflowers. Gravel paths and a small willow-lined creek wind their way through the pastoral landscape. While most of the ceremonies are al fresco affairs, there is a pavilion attached to the Dutch barn that can serve as a rain plan. Voyage to heart of the Catskills State Park for a truly rural reverie. At Hayfield, the English Frame Barn and Prairie Barn, with its 35-foot vaulted ceiling, offers two options for nuptial festivities. Stroll through the fields of wild grass, under the boughs of venerable, old trees, and glimpse the majestic peaks of the surrounding mountains. This hilltop destination offers a peaceful, private space for exchanging vows and celebrating marriage. At 400 acres, Stone Tavern Farm in Roxbury is the largest of the wedding venues on our list. The sprawling property, nestled in the hills of Delaware County at the end of a dead-end road, includes fields and forest, a riding ring, pond, pavilion, and a 12,000-square-foot barn that can accommodate up to 400 guests. Horses and goats dot the hillside, creating an authentic pastoral feel. Stone Tavern Farm offers lodging onsite for the bridal party and camping for guests. The list of barn venues is lengthy and growing. Some other highlights include the Barn on the Pond in Saugerties, the BARN at Liberty Farms, Apple Barn Farm, the Roxbury Barn & Estate, Crested Hen Farms, Buttermilk Falls, Tralee Farm, Hudson Valley Weddings at The Hill, Locust Grove, The Catskill Mountain House, Stonegate Farm, Full Moon Resort, and Red Maple Vineyard. 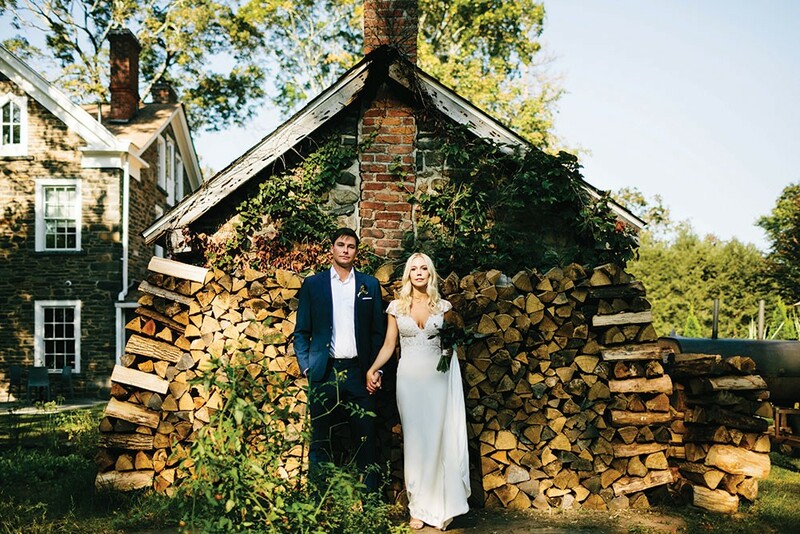 "A Venue for Every Vision: A Curated Guide to Hudson Valley Wedding Venues"